Here’s a great chart put together by the New York Times. 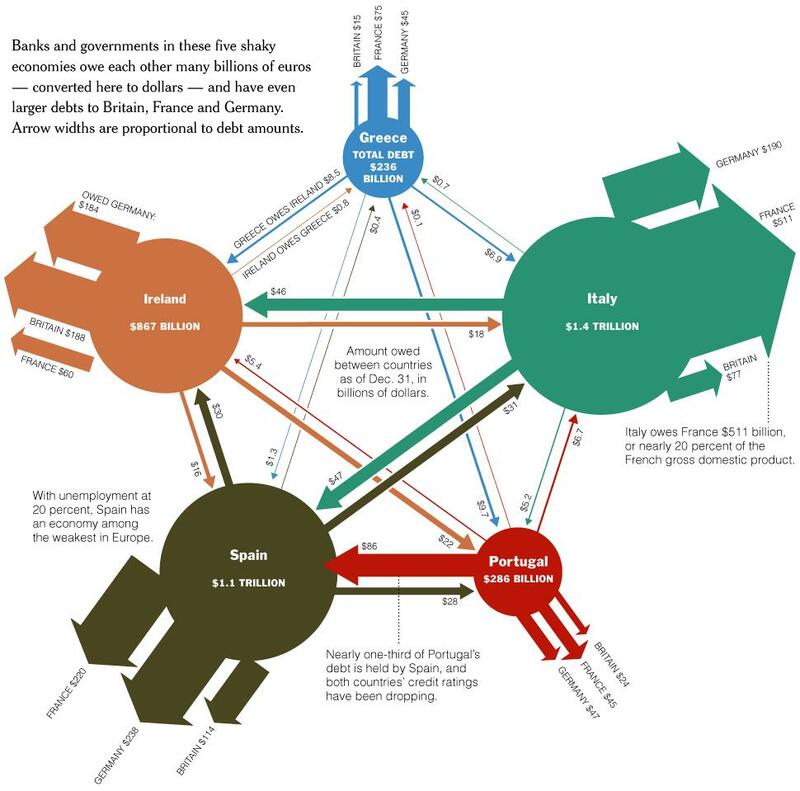 It shows the degree to which government debt issued by profligate nations such as Greece and Spain is owned by banks in Germany, France, and the United Kingdom. It is quite reasonable to describe what happened as an indirect bailout of domestic banks dressed up as a bailout of the Mediterranean nations.